Have you been served with a Foreclosure Complaint? Get legal help as soon as possible. 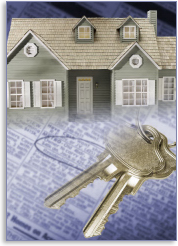 Our New Jersey Foreclosure lawyers are ready to help you work out your foreclosure today. Just call us. Call Fredrick P. Niemann, Esq. toll-free at (855) 376-5291 or e-mail him at fniemann@hnlawfirm.com today. For important information on the 2015-2017 Assessment Demonstration Program. Contact an experienced New Jersey Foreclosure Attorney Today. Do You Need Help with a NJ Foreclosure? Let our experienced real estate attorneys negotiate with your lender to avoid costly mortgage foreclosure and negotiate a workout solution that will protect your home, investment property, income and your peace of mind. We’re experienced in alternatives to foreclosure including loan modification, short sales and deeds in lieu of foreclosure throughout Northern, Central and Southern New Jersey including Monmouth County, Mercer County, Somerset County, Union County, Middlesex County, Ocean County, Atlantic County, Camden County Hudson County, Bergen County, Morris County, Somerset County, Cape May County. Bonnie Wright has done magnificent work for me throughout this process. I know it wasn’t easy because of those judgements and the work that had to be done to take care of it! You guys always kept me in the loop and were always quick to answer any questions I had along the way! Right before I sold this townhouse my husband and I had purchased a home and I can tell you first hand that the lawyer that we used was terrible he never contacted me about anything until the last minute he didn’t have answers to questions I had and was just very non-chalant about purchasing a nearly half a million dollar home!! It was very nerve racking and the whole process was awful.. I am so glad my real estate agent David told me about Bonnie when selling this home and suggested I call her to handle the sale of this townhouse. Bonnie and her paralegal, Maureen have certainly put my faith back into the legal system and using a great Lawyer with amazing assistants that helped make me feel confident and comfortable regarding the whole process! Thank you again for EVERYTHING! What is Foreclosure in New Jersey? Foreclosure is the legal means that a lender can use to repossess your home. When this happens, you must move out of your house. If your property is worth less than the total amount you owe on your mortgage loan, a deficiency judgment could be pursued. If that happens, you not only lose your home, you also would owe an additional amount. Both foreclosures and deficiency judgments could seriously affect your ability to qualify for credit in the future, so you should avoid foreclosure if possible. When you want personal attention to your foreclosure matter and courteous return calls, call us toll-free at (855) 376-5291. Ask for Mr. Niemann or Mrs. Urciuoli or you can e-mail Mr. Niemann at fniemann@hnlawfirm.com. Let us help you in one of your most stressful times and assist you to save your home or commercial property. Foreclosure is a two-tiered system involving both the Superior Court of New Jersey and the staff of the Office of Foreclosure. If you look at the summons, which often is the first page of the papers that you received from the lender’s attorney, you will notice that it demands that you answer the complaint within 35 days after you receive the summons and complaint. Filing means filing the original answer with the court. Serving means providing a copy of it to the lender’s attorney who sued you. Fair Foreclosure Act optional foreclosure procedures. Mr. Niemann has been a featured speaker to the NJ Institute for Continuing Legal Education in New Brunswick, NJ on alternatives to foreclosures including forbearance agreements, short sales and loan modifications. He presented before an audience of licensed NJ attorneys as part of their continuing legal education requirements as mandated by the NJ Supreme Court. Mr. Niemann also addressed the Monmouth County Bar Association Real Estate Committee on alternatives to foreclosure for attorneys in Monmouth County, NJ. It was held at Eagle Oaks Country Club in Howell, NJ.